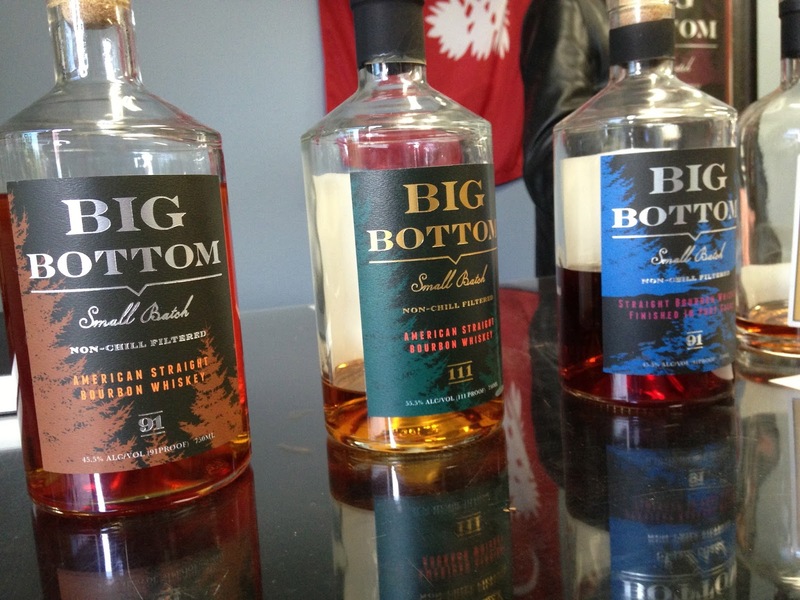 Nestled deliciously in a office park in the fifth-largest city in Oregon, Big Bottom Whiskey is a delightful treat in the town of Hillsboro. 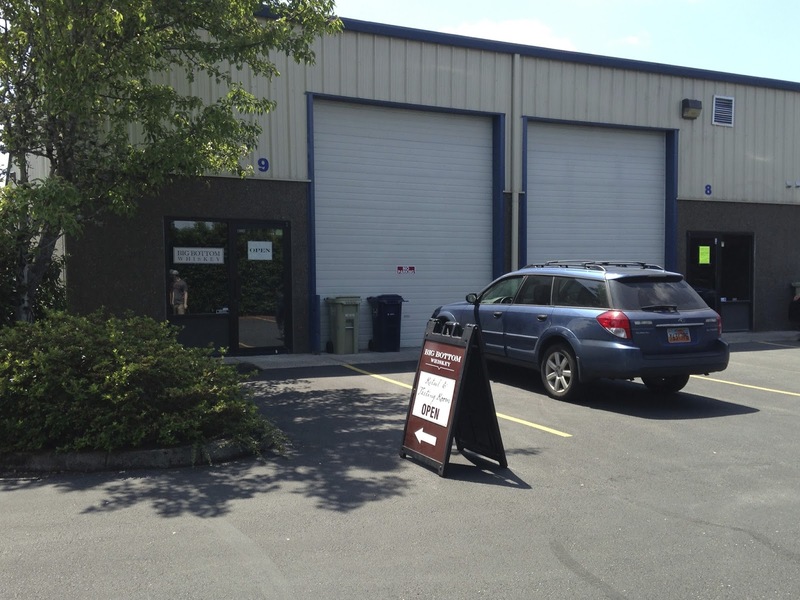 An area once inhabitated by the Atfalati tribe of the Kalapuya for thousands of years, in recent times Hillsboro has been more recently known as the center of Oregon's silicone forest with companies such as Intel, Yahoo!, and a variety of semiconductor companies calling it home. What does this have to do with whiskey? Absolutely nothing other than making the point that there really isn't much going on in Hillsboro, other than Big Bottom that is. Oh, and a marginal semi-pro baseball team called the Hillsboro Hops. It really is in an non-descript office park. 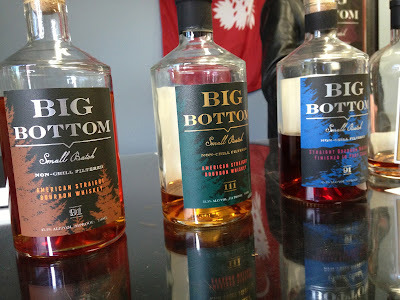 I first heard of Big Bottom over a year ago when they picked up a gold medal at the 2012 San Francisco World Spirits Competition for their Port Cask Finish Straight Bourbon Whiskey. I recall thinking to myself, "Whiskey? Finished in a Port Cask? Two of my favorite things!" Big Bottom Whiskey Founder and Vice President of the Oregon Distiller’s Guild, Ted Pappas, started the company in 2010. As a 1991 graduate of The Citadel, The Military College of South Carolina, all of Pappas’ whiskeys are proofed at 91° as a tribute to his classmates. Not only does Big Bottom Whiskey offer a 36% rye American straight bourbon, Ted also focuses on producing specialty finished bourbons such as the multiple awards winning, Port Cask Finished Bourbon. The Big Bottom name comes from an old growth forest located in Clackamas County, Oregon, as reprinted on the labels. As you can probably tell, this isn't your daddy's whiskey. I tasted everything except the 111 Proof, and thoroughly enjoyed them all. The Straight Bourbon Whiskey was a solid everyday drinking bourbon; the port cask finishes were quite unique as specialty spirits; and the Single Barrel was the star of the show. Unfortunately for me, the Single Barrel sold out while we were in the tasting room so I wasn't able to snag a bottle. I took home the Straight Bourbon Whiskey at a quite reasonable price of less than $30. While a bit disappointed they didn't have any of their Zinfandel cask aged bourbon left, I was overall very pleased with our tasting experience and would definitely encourage you to visit next time you are passing through Hillsboro. It's even worth a trip just to Hillsboro next time you're in Portland.